There's a new pie place in town. Recently I had the pleasure of visiting Four and Twenty Blackbirds, on the border of the South Park Slope and Gowanus. It was fabulously delicious and I can't wait to go back. This pie in the sky, pie spot, has different pies for every season (I can't wait to try some of their fruity pies when I go back in the summer! ), as well as a daily changing array of pies to choose from. When we went, we tried the Salted Caramel Apple Pie (pictured above) and the Black Bottom Oatmeal Pie (pictured below). Other winter pies include Buttermilk Chess, Salted Honey and Chili Chocolate pies. And a whole array of lovely fruit flavors await us in Spring and Summer. 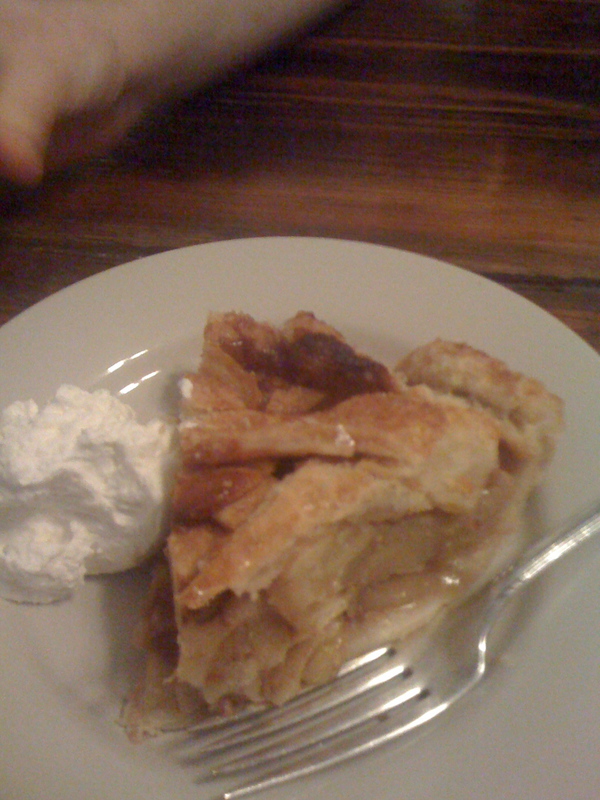 These pies are delicious and this is a spot worth venturing to the edge of Park Slope to try. In addition, I am sharing a recipe from a reader of A Kitchen In Brooklyn - Anna, and old friend of mine now living in Strasburg, France. Here's the recipe below, as well as a description of its family origins. something you are likely to find in a cookbook or a TV cooking show. It is something that I make when I am nostalgic for my mom’s cooking. If you have a pressure cooker – use it! You will save a lot of time. If not, I like to use my “Staub” cocotte, which keeps the juices in even after a long cooking time. In fact, the trick is to use gizzards from young chickens to shorten the cooking time, otherwise it may take a while. soup cube of your choice, mix until dissolved. Add wine, whole English peppers and bay leaves. Then add the gizzards and cover with cold (!) water. If you’d like more sauce, add more water (not more than the maximum allowed for your pressure cooker). Be careful not to overdo it, otherwise you will have a soup and not a stew! Follow the manufacturer’s guidelines for operating the pressure cooker. Start your timer AFTER the pressure has been built. Cook between 25-35 minutes, depending on the gizzards (whether from old or young chickens). The pie looks so delish!